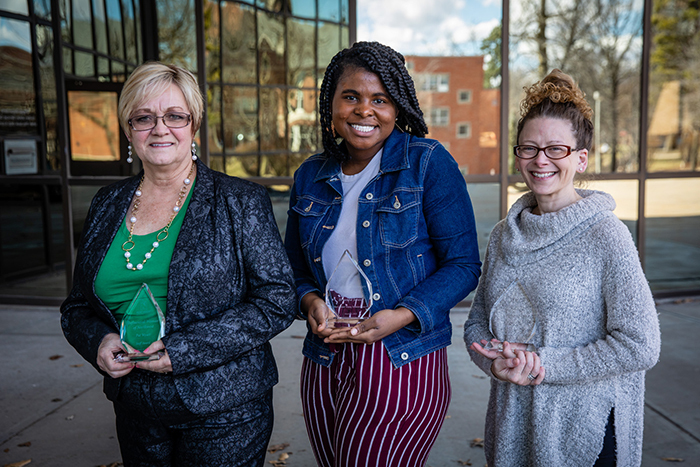 Congratulations to Pat Wyatt, coordinator of accessibility, office of diversity, equity and inclusion, for being named the 2019 Influential Staff Award recipient. This website is yours to explore. It contains tools and resources to challenge assumptions, stimulate enlightenment, provide comfort and demand action. We eagerly invite you to get to know our staff and to call on them when you have ideas to promote our mission or have questions about our goals. We want to generate ideas side-by-side, and we can only achieve this with your help. We hope you visit our office and access our resources many times to gain perspective and expand your horizons. We particularly encourage you to attend one or more of the many cultural events organized by members of the Bearcat family. Whatever your origin, background or experiences, you are valued as an indispensable part of this community. The Office of Diversity, Equity and Inclusion was created for you.